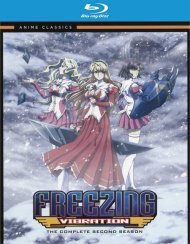 Satellizer el Bridget and some of the most powerful - and desirable - Pandoras in the world are summoned to a secret base in the wilds of Alaska. These gorgeous warriors arrive primed for battle, but they soon discover the true purpose for their presence: to assist the clandestine Chevalier organization in forging a new breed of soldier - E-Pandoras! Once normal girls, these eager beauties volunteered to have their bodies genetically-enhanced in order to join the fight against the deadly alien invaders plaguing the planet. But there's more to becoming a superhuman battle vixen than tattered uniforms and sultry slugfests. Rumors of heinous experimentation haunt the E-Pandora project, and only Satellizer and her loyal companion Kazuya can unravel the mystery before it's too late! 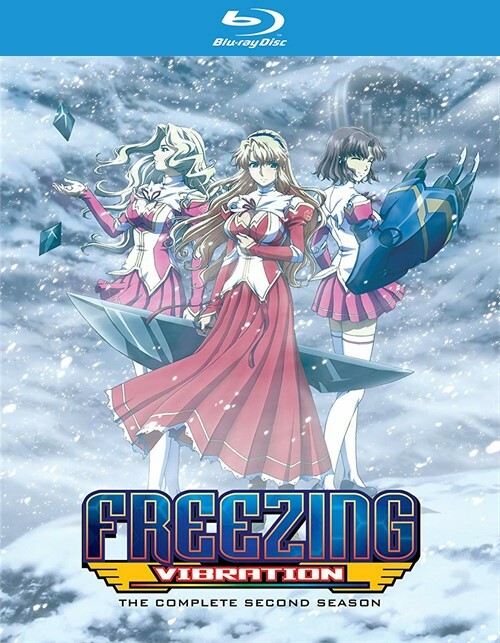 Review "Freezing Vibration - Season 2 "
Reviews for "Freezing Vibration - Season 2 "